I made this soup a few months ago, and I've been meaning to post it ever since. 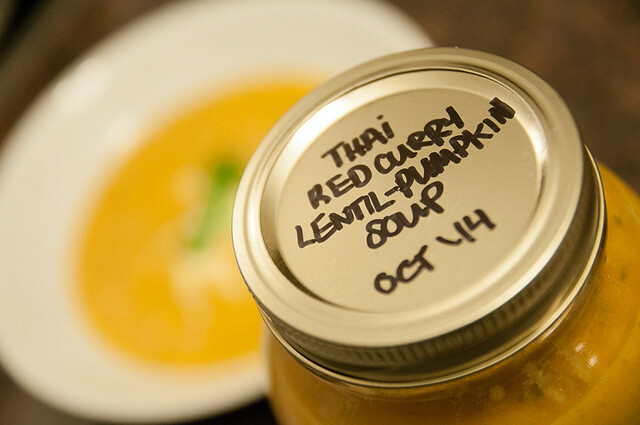 This is one of those recipes that came about organically, because I had some extra pumpkin puree to use up (classic result of muffin recipes that use 1 c of pumpkin and cans that hold 3 c of pumpkin). 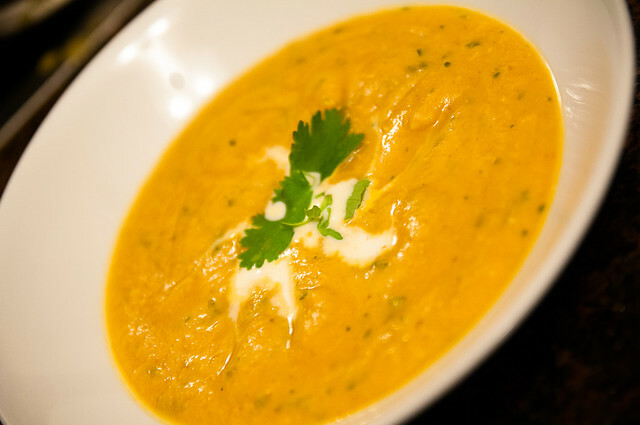 It's a really simple soup, but has great flavour and makes a nice hearty meal. As always, you can adjust the flavours to suit your palate (2T red curry paste may be a bit spicy for some people). I really think that the use of fresh herbs elevates the flavour, but it isn't 100% necessary if you don't have them on hand. 1. In a large pot over medium heat, combine the red curry paste and the coconut milk. 2. 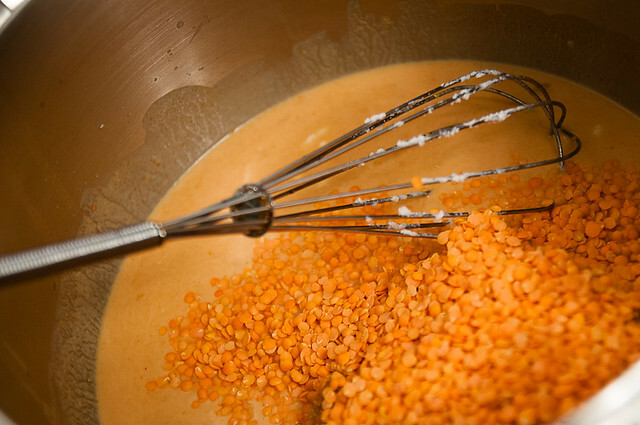 Add the pumpkin puree, lentils, water/stock, bouillon (if not using stock) and fish sauce. 3. Bring to a boil and let it simmer for 15-20 minutes (until lentils are soft). You may need to add water if it's a bit thick. 4. Add the fresh basil and cilantro, and puree with an immersion blender (or blender or food processor, but IMHO the immersion blender offers the best bang for your buck if you can only have one of these appliances). 5. Taste. If you love it, don't change it. I found mine needed a bit of sweetness, so I added some maple syrup (honey or brown sugar would also work), and it needed some acidity (lime juice) and some salt. 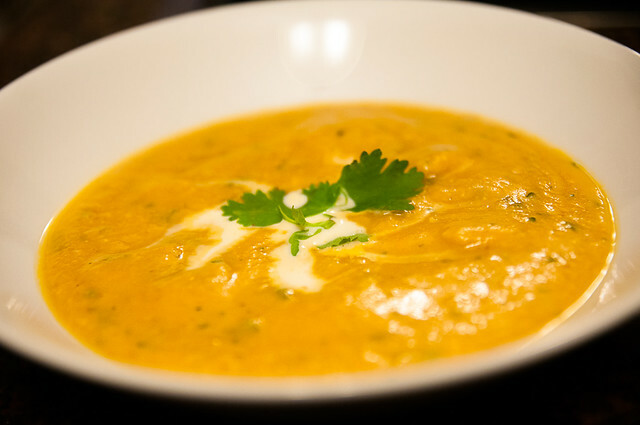 This soup is fantastic and is a great way to bring together some relatively inexpensive ingredients into something SUPER delicious. If you don't have Thai curry paste, you could also use an indian curry powder; no question, it will change the flavour of the soup, but it would still be pretty delicious. I love freezing my extra soup to have for lazy meals in the future....just make sure to leave some space at the top of your jar, and I would also recommend refrigerating before freezing. I haven't had any issues with jars breaking.